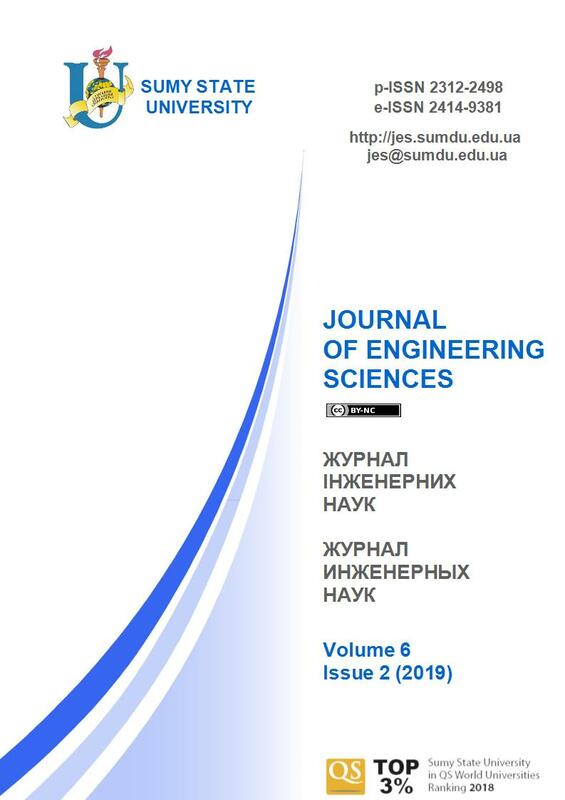 Sharapov S. Improvement of the Vacuum Cooling System for Biodiesel Production / S. Sharapov, M. Starchenko, M. Protsenko, V. Panchenko, V. Kovtun // Journal of Engineering Sciences. – Sumy : Sumy State University, 2019. – Volume 6, Issue 1. – P. F6-F11. Abstract. The article deals with the actual problem of improving the vacuum cooling efficiency systems during the biodiesel production by using vacuum devices account for the liquid-vapor ejector, which operates on the principle of jet thermal compression. The purpose of this study is the feasibility of using vacuum devices, that based on the liquid-vapor ejector, and takes as a basis the principle of jet thermal compression in vacuum cooling systems of biodiesel production units. This article describes the basic scheme of the cooling system devices during the biodiesel production, which includes a three-stage steam-jet ejector and the proposed scheme based on the liquid-vapor ejector. A comparative analysis of the vacuum cooling systems during biodiesel production units was realized, where the schemes were compared on the basis of existent three-stage steam-jet ejectors and a new single-stage vacuum unit based on a liquid-vapor ejector. An exergy method of assessing the effectiveness of the proposed equipment was used as a comparison, because in the working process there is a transformation of two energy types: electric for the pump drive and heat for heating the working fluid of the active flow in the exchanger-heater. The intermediate pressure between the liquid-vapor ejector and the liquid-ring vacuum pump can help to achieve the highest characteristics of the new technology on the optimization parameters. Keywords: vacuum cooling system, liquid-vapor ejector, biodiesel production, exergy efficiency. Sharapov, S. O., Arsenyev, V. M., & Kozin, V. M. (2017). Application of jet thermal compression for increasing the efficiency of vacuum systems. IOP Conference Series: Materials Science and Engineering, Vol. 233, 012028. Sharapov, S. O. (2011). Problems of experimental studies of liquid-vapor ejector working process in the vacuum regime and their technical content. Bulletin of Sumy State Univerity. Series “Technical Sciences”, Vol. 1, pp. 51–57. Sharapov, S., & Arsenyev, V. (2016). Experimental study of a liquid-vapor ejector with a cylindrical mixing chamber. Refrigerating Equipment and Technology, Vol. 52(2), pp. 87–92. Sharapov, S., Arsenyev, V., & Kozin, V. (2016). Experimental investigation of liquid-vapor ejector with conical mixing chamber. Technology Audit Production Reserves, Vol. 4, No. 1(30), pp. 50–55. Sharapov, S., Arsenyev, V., & Protsenko, M. (2013). The use of liquid-vapor ejector in vacuum systems. Science et Tchnique du Foid – Refrigeration Science and Technology, Vol. 4. Tsatsaronis, J. (2002). The interaction of thermodynamics and economics to minimize the cost of energy-conversion system. Negotiant Studio Ltd., Odessa, Ukraine. Arsenyev, V. M. (2011). Heat pump energy conservation technology. Sumy State University, Sumy, Ukraine.